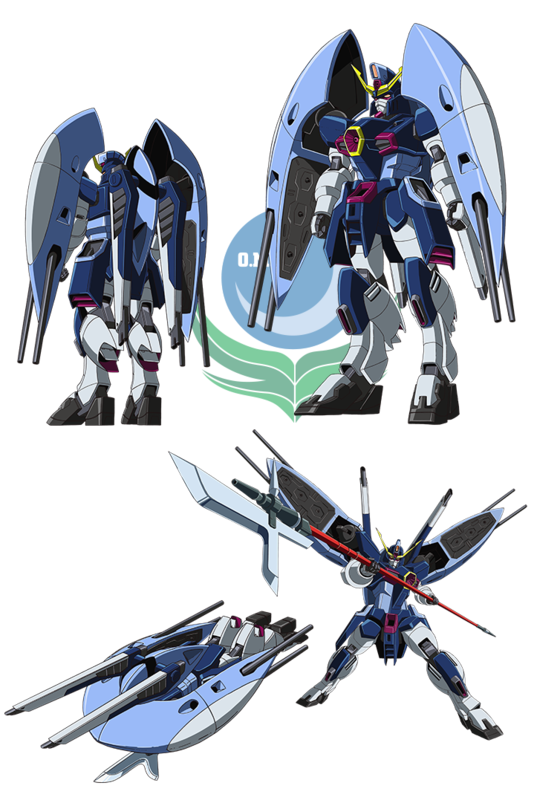 Abyss Gundam is equipped with armaments such as beam weapons and a lance operable for various war situations, and it is also transformable to an amphibious mobile armor. Abyss is piloted by Auel Neider. Its firepower overwhelms the other three Gundams.